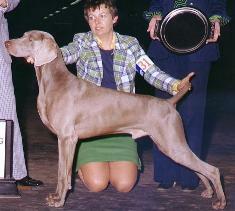 A multiple best-in-show winner, Joga is the breed's leading sire with 143 champions. From 1977 to 1985, Joga produced a record 13 futurity winners. In addition, he is the sire of 6 maturity winners, and 22 BROM producers.